Working with Outsource Marketing, Nokes wrote the copy for this series of email brochures for AutoVenture. 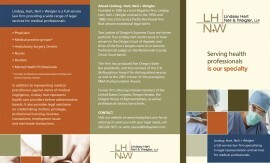 Nokes helped Lindsay Hart law firm craft a legal brochure promoting its legal services to health professionals. Explore exotic Morocco in a chauffeured, AutoVenture vehicle. Deston wrote ad copy for AutoVenture, taking readers to Kyoto, Japan. Designed by Outsource Marketing. Ad Copy: Are you ready to head to Cuba? Nokes wrote an ad on for AutoVenture, on the opening of Cuba to tourism. Designed by Outsource Marketing. Nokes authored AutoVenture’s Corporate Brochure, concept and design by Outsource Marketing. Nokes wrote an ad on for AutoVenture, on an exotic voyage to Sri Lanka. Designed by Outsource Marketing. Nokes wrote ad copy on a romantic journey to Tuscany for AutoVenture. Designed by Outsource Marketing. Deston wrote ad copy for AutoVenture, taking readers to Dublin. Designed by Outsource Marketing. Deston writes a travel ad for AutoVenture. Designed by Outsource Marketing. Deston’s advertorial for AutoVenture’s tours to Iran — designed by Outsource Marketing.